Vapple's 7.5 lb. bag is a top shelf mineral. This is not a glorified salt mineral/attractant. 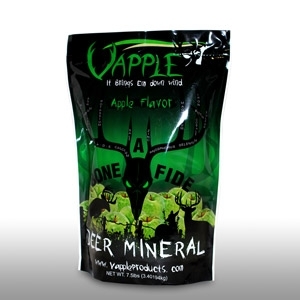 Vapple Mineral is loaded down with micro and macro minerals your deer needs to grow bone. With Vapple's super strong apple formulation added, you have one of the best minerals on the market.